It was a slow week for me but that's fine and dandy! I have a ton of TBRs and I really am slow reading right now. I did get two really great looking books though! Must Read Faster's birthday is May 2!! !Sooo, almost Happy Birthday to my blog! My wee little blog is almost officially 1 year older! I had to double check because I simply could not believe it! One whole year of blogging!? Ahh! But I have in my brain a little something cooking to make my blog's B'day a bit fun! I'll have to iron out the kinks before posting the end result but I think you guys will love it! Jacob Logan returns to the small North Carolina town of Maryfield five years after his mother's death. Logan, whose business venture in Boston has just failed, is looking for a change of pace, and hopes to find some meaning by taking up temporary residence in the house he grew up in. A series of bizarre occurrences soon threaten that hope: his furniture and most of his possessions are incinerated in a highway explosion; his car is stolen, only to reappear and almost run him down; and he gets creepy vibes from the house's caretaker, who had carried a torch for Logan's mother. The most disturbing manifestation of a supernatural presence comes from the fireflies, who refuse to cross into Logan's property and who die when he brings them over the invisible boundary. Dansky convincingly portrays Logan's isolation and terror, and subtly gives glimpses of the forces arrayed against him. This book is pretty darn good! The best thing about this book is that it's story isn't the typical cliched "ghost story." I loved the firefly angle, and how subtly scary the atmosphere is. This isn't a BOO! you're terrified story but it is scary. (I hope that makes sense?) You are on edge throughout the whole thing! You don't know who is the bad guy and who is the good guy, or girl. Each character was well done and well crafted. I loved each one's reaction to the events that took place. The story rolled quite nicely and didn't drag at all anywhere. The background history was well thought out, too. Basically this is a great thriller that kept me reading and trying to piece together what was going on! The cover art is darn pretty too! 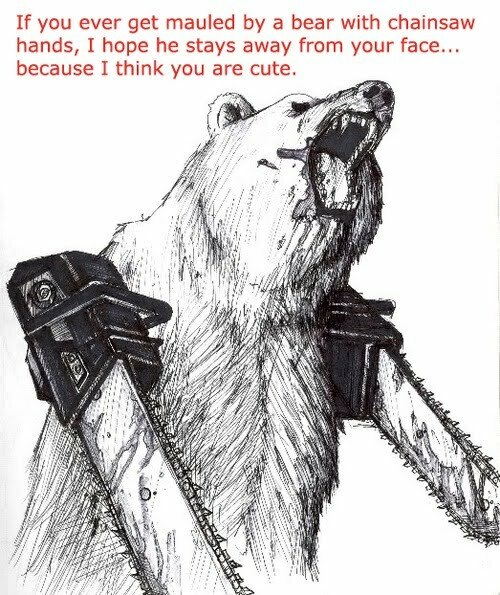 It's got that whole creepy/beautiful vibe to it that I love! It really captured the mood of the book! All in all this book gets a 3.5/5 rating! This week it's back to "normal" here in the Must Read Faster household. Mr. Kid is back in school and mommy has the place to herself once again! So I'm really going to have more time to read! yay! I probably won't finish them all, or I may just pick a random book but there you are. Happy Monday! 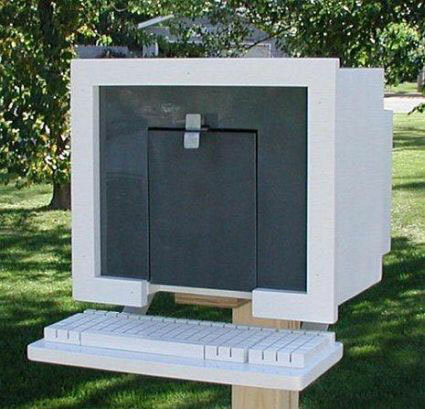 **isn't that an awesome mailbox?!!! Anyways, this week was super awesome for my mailbox (not to mention my overflowing TBR pile!) I got some awesome books for my son and a handful for myself too! Sweet! I'm pretty excited about these! What did you get? 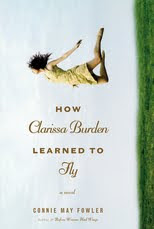 How Clarissa Burden Learned to Fly is the transcendent story of a young woman who, in a twenty-four hour period, journeys through startling moments of self-discovery that lead her to a courageous and life-altering decision. Oh my did this book NOT disappoint! It ran the gamut of emotions from super depressing to extreme joy. I felt for Clarissa. I loved how she changed and actually evolved as a character. I was cheering her on and hoping that she smartened up about her tool of a husband! I hate to admit the little devil in me, laughed when she was planning the many ways of her husband's demise. I felt so much pity for her and her sad little marriage. She wasn't without fault but her story did tug at a few of the old heart strings. Happy Birthday to My Little Boy!!! My son Trent is 6 years old today! :) He's such a cool little man! Okay, done being a silly Mama. I am a horrible book blogger. There I said it. I'm horrible. Why? 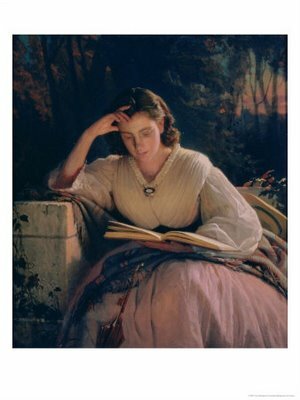 Because I have never read Jane Eyre! *hides behinds hands* Oh, I own a copy. I have it on my shelf but I have never gotten around to it. Needless to say though, this gave me a "clean slate" to waltz right into this book without prejudices. What was my reaction? I loved it! Plain and simple! This book is fun and was at times wickedly funny! I was afraid that this would be stupid. I'm not going to lie. I've seen these types of books before and thought they looked... interesting. Silly me for judging without reading first! This one at least is worth a read. There are zombies, vampires, and werewolves scattered about! Our heroine isn't a full time slayer but she does get her fighting in. I think there is enough in this book to make almost anyone happy. 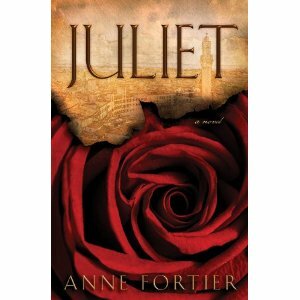 It's got the romance, the comedy, the action, and the suspense that, at least I crave in a book. I stayed up late two days in a row to finish it and the reading hangovers were well worth it! 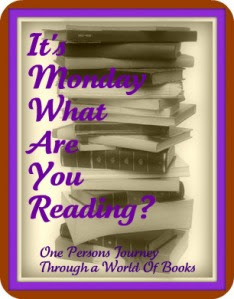 I'm reading these books for blog tours! Both sound very good! I started to fade out at around 11pm but I kept chugging til about midnight. I'd have to say that so far there have been a few. The Passage by Justin Cronin was really good! A huge book but definitely kept me turning the pages! Didn't really stumble upon anything that would improve it. I loved the interaction and it's really well organized! The Passage, How Clarissa Burden Learned to Fly, and Keeper. Keeper was cute but it was definitely a children's novel, but it was a quick read! I'm DEFINITELY going to do it again! I love it! I may even try to do both reading and cheer leading, if I'm feeling adventurous! Time spent reading: about 15 ish..didn't really keep a good tally. It may have been less or a little more lol. Ready? Set? GO!!!! Read-a-Thon is ON! Oh yeah baby! It's 6am and I'm awake and ready for some READING! I got my coffee, my comfy chair, my notebook and pen, and my book! I'm going to start with (or finish) The Passage by Justin Cronin. I'm about halfway through so I'm aiming to finish it up! I'll aim to update this post every hour or so..depends on if the kid has taken the computer over while I'm reading. I've got snacks, simple quick meals and tea made up! I'm going to try not to make a HUGE hog out of myself this time. Last RaT I snarfed down a ton of junk food so I'm going to try not to go down that route again. Anyway, here we go! Good luck everyone! Have fun and I'll see you in another hour with some updates! Book: The Passage by Justin Cronin started at page 307 and read til 333 this hour..not the greatest start but good enough! Book: Passage-hopefully done...this book is massive!!! Took a break for dinner with the family from 7pm-9pm. Starting back at 10pm after Little Man goes to bed! 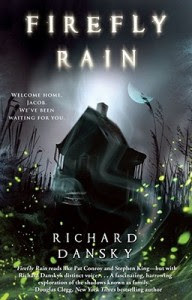 Update 14: Started on Firefly Rain but it was about midnight by this time and my brain was dead so I called it a night. Hours Read: about 15 (ish) my log got kinda fuzzy after 11pm lol. All in all, I wished I could have concentrated more. I didn't get as much reading in as I'd have liked but it was fun! I can't wait for the next one! Summary: This is a reference book for the many different religions of the world, told with both views (Christian and Non.) Each religion is laid out for the reader's easy understanding. There are numerous illustrations to go with the descriptions. A very handy source book for families to have around the house. 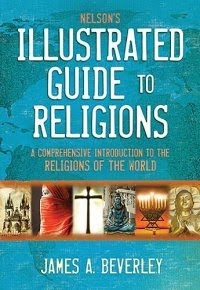 This is a beautifully illustrated book that explains all the different world religions. I enjoyed the balanced views on each. This is a big book but is organized well and easy to read. This is pretty much an encyclopedia of all the religions in one BIG book! The descriptions are informative and interesting, which I loved. Like I stated before the book is balanced, which I respected very much. The book does give a Christian response to each religion after each description, which was incredibly interesting and thought provoking. The book is huge but is very high quality! The pictures are beautiful and the paper is very durable. I can see this book being very helpful for children that need a quick reference for a project or report. This isn't a book you just sit down and read from cover to cover (unless that's your thing!) but it is a handy volume to have on hand. So I'm just gonna come right out and admit it. I've been a slacker and I apologize for it. Good news though, I'm so excited for this week and weekend's read-a-thons! I'm reading as much as I can when I can. 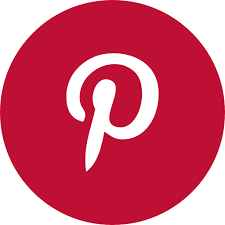 I'm trying to get myself back on track so I can do this blog justice again! I've already listed my goals for this week and so far so good! I'm plowing through The Fellowship and starting up kinda slow on The Passage, but I'll take it. I realize it will be a miracle if I finish The Passage in one week. This book is HUGE..like the unabridged version of The Stand huge!!! So I'll be happy if I make it at least half way through! Rambling on, I have a few ideas about a giveaway that I might do. I went through my piles and bookshelves looking for Read-a-Thon books and discovered I had some that I could use for a giveaway. I think you guys might like this selection too! So let me cook up that idea and I'll let you know what happens, of course. Okay now, back to reading. Anyone. 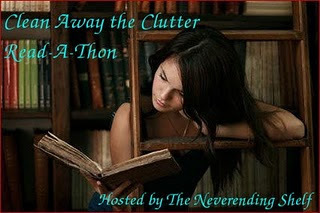 You do not have to be a participant of the Clear Away the Clutter challenge to join in the read-a-thon. Or even have a blog. (finish) The Fellowship of the Ring-FINISHED!!! I'm definitely going to get about 10 hours of reading in but I will try for more if possible.